I’ve often wished I could enjoy my summers more, but with the football season hanging there just past the dog days of August, I always find myself in June counting down the days til Summer’s end. With mini-camps over and the stretch of vacations underway until Training Camp comes back late next month, some of us are still paying attention (sorry to disappoint you Rex). If you recall, last year I accurately predicted the Patriots winning the AFC East yet again, just missed the Jets getting into the playoffs (thanks Fitzy) and had the Dolphins and Bills dragging up the rear yet again. So how will they all fare in 2016? Read on. Whether Brady’s suspension holds or not, it’s a safe bet to assume that with their loaded roster they lock in at 12-4 for their 5th straight year. 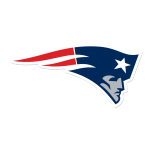 With the additions of Bennet, Hogan, Long and Knighton, with a strong returning young D, the Patriots will retain the 1 or 2 seed and should be vying for another Super Bowl Trip come late January. They just need to avoid the city in the sky (a mile high) this year. Despite Rex’s grandstanding that they won the offseason (usually a negative statement, but I guess he didn’t realize that), the Bills are still not over the hump. It’s sad because I thought the AFC East took some steps forward last year, but with the Bills coming in second for me at 9-7 I have little hope for a second playoff team from this division. Typical of a Rex Ryan team he has forgotten to build on both sides of the ball. I truly believe with their draft (Lawson and Ragland especially) they will have a top 5 NFL defense. However on the other side, they have an average at best QB, LeSean McCoy hasn’t been Shady in years, and Charles Clay is an over glorified mediocre tight end. Then there is their receiving core. Sammy Watkins can only run one route and is the diva of all divas and Robert Woods is no more than a decent role player. They were an average group last year too, but at least they had two additional weapons in Harvin and Hogan. 9-7 and both Ryan Brothers are gone. While I believe the Dolphin’s had a good draft, and made some decent off season moves (Anderson, Williams and hiring Gase) I still think this is an average team this year. I do not believe in Tannehill, and he doesn’t deserve my trust until he wins his first big game. The linebacking group still leaves much to be desired and a weak secondary was further weakened with the departure of Grimes. 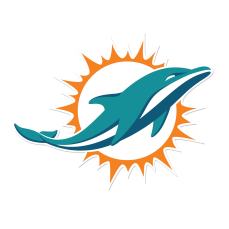 The wide receiving core is chock full of decent WR2’s and 3’s, and Tunsil was a great steal in the draft, but that will be the lasting legacy of the 2016 Dolphins. The Dolphins are on the right path finally, but they aren’t there yet. 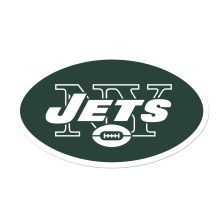 Matt Forte may add some receiving out of the back field, and Darron Lee was a great pick, but the Jets still do not have a quarterback. The compiled group of dysfunctional crap bags will be the downfall of this team. But what are the Jets to do? It appears Fitzpatrick has all the leverage but I wouldn’t pay him either. They need a QB but Fitzpatrick should never get north of $10 million. I understand he came off his best season and he and his agent are looking for his one big contract before he’s over the hill. However, in the biggest moment in the 2015 Jets Season, the fourth quarter in week 17 with a playoff bid on the line he played his typical worst. His head and arm were on different pages and Fitzpatrick turned over the ball multiple times sending the Jets back home in January. Hard for me to blame the Jets, but impossible to ignore they are a worst team this year. Follow me on Twitter at @RyanWhitfieldNE!